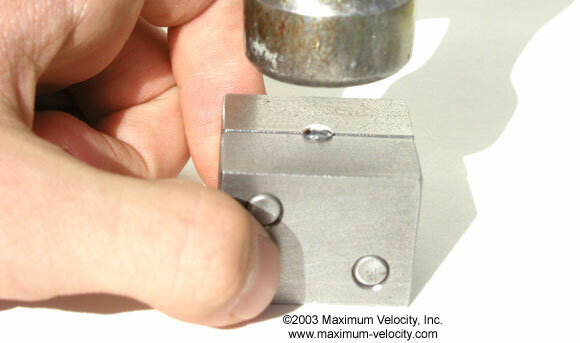 The Pro-Axle Press straightens and rounds pinewood derby nail axles. 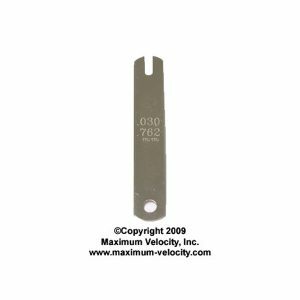 The tool can also be used to bevel the head of nail axles, and it serves as the base for the Pro-Rail Rider (5147) tool. Straight Axles = Greater Speed! In pinewood derby racing, winners and also-rans are often separated by fractions of an inch. Although many factors affect car performance, precision axles are key to reaching the winner's circle. Axle Straightening - Ensures accurate wheel tracking by creating absolutely straight axles. Improved wheel tracking equals greater speed! 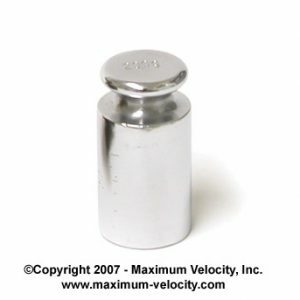 Axle Rounding - Ensures accurate wheel rotation by creating absolutely round axle shafts. Improved wheel rotation equals greater speed! 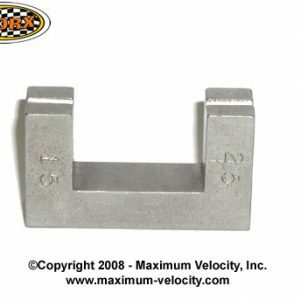 Head Squaring - Ensures proper wheel rotation by squaring the axle head to the axle shaft. Improved wheel rotation equals greater speed! Head Beveling - Reduces the contact surface with the outside wheel hub. Less contact equals faster speed! Raised Wheel and Alignment Adjustments - When it is necessary to purposely bend an axle (to raise a front wheel or make an alignment adjustment), the Pro-Axle Press II serves as a handy clamping device for holding the axle while making the bend. When using nail-type axles, the Pro-Axle Press II and Pro-Body tool work together to make a well-aligned and smooth rolling car. To use the Pro-Axle Press II, follow the instructions included with the tool or the instructions below. Click on any of the small pictures to view a larger picture. "When using nail-type axles, the Pro-Axle Press II and Pro-Body Tool II work together to make a well-aligned and smooth rolling car." (2)The Pro-Axle Press II was designed and tested for use on BSA and PineCar nail-type axles. It may also be suitable for nail axles from other kits. The press is not intended for use with rod-type (PineCar) or screw-type (Royal Rangers) axles. 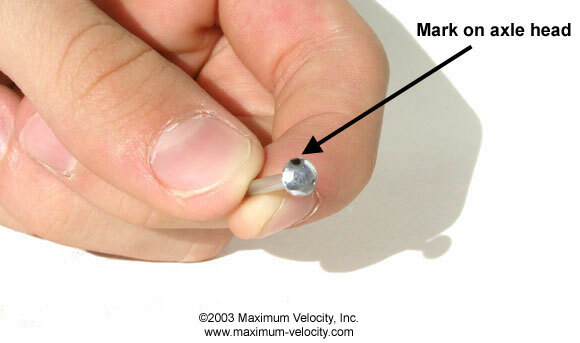 Insert an axle into the chuck of a drill, and use a file to remove the burr under the nail head, and any crimp marks on the axle shaft. Repeat for the other 3 axles. 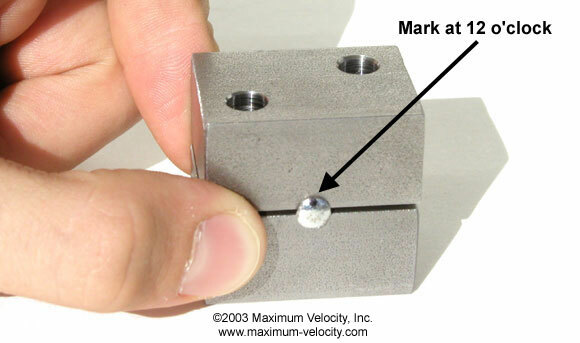 Make a mark on the edge of each axle head using a marking pen. Fully insert an axle - point first - into the smooth side of the Pro-Axle Press II. 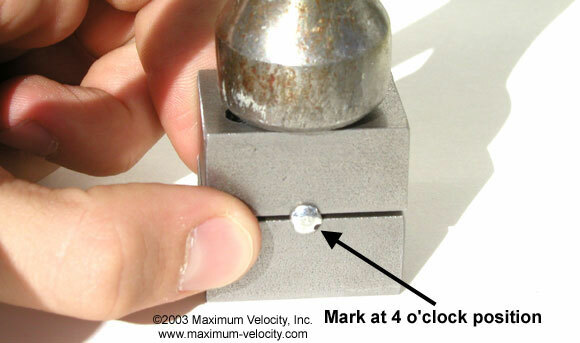 Rotate the axle head such that the mark is located at the top (12 o'clock), and close the press. Place the Pro-Axle Press II on a solid surface, hold it in place, and strike the top of the press 4-6 times with a hammer. Don't strike too hard - medium strikes are fine. Open the press and repeat steps 3 and 4 with the mark at the 4 o'clock position. Open the press and repeat steps 3 and 4 with the mark at the 8 o'clock position. Remove the axle and insert it into the recessed side of the Pro-Axle Press II. 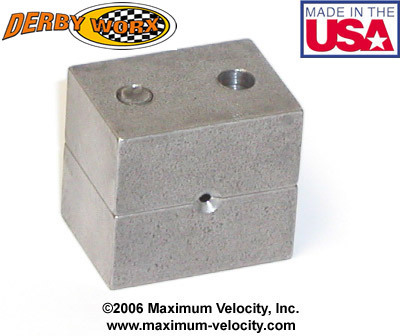 Lay the press on its back (axle head upward) and strike the axle head 2 to 4 times. This will bevel the axle head. 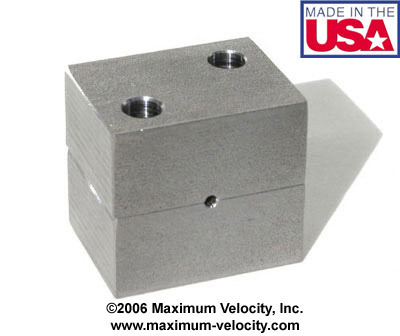 Note: If a beveled axle head is not desired, then in a similar manner the smooth side of the Pro-Axle Press II can be to used square the axle head. Repeat steps 3 to 7 for the remaining three axles. 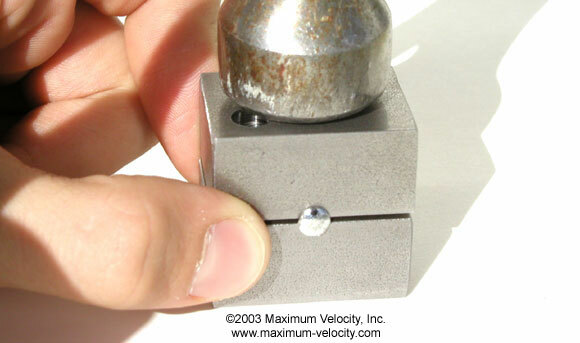 To accurately bend an axle for alignment or for a raised wheel, use the Pro-Rail Rider Tool with the Pro-Axle Press. 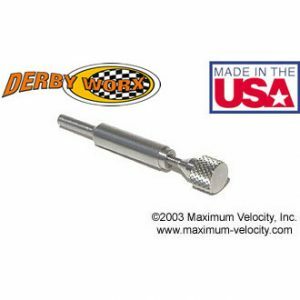 The Pro-Rail Rider Tool accurately places a 1.5 or 2.5 degree bend in an axle.